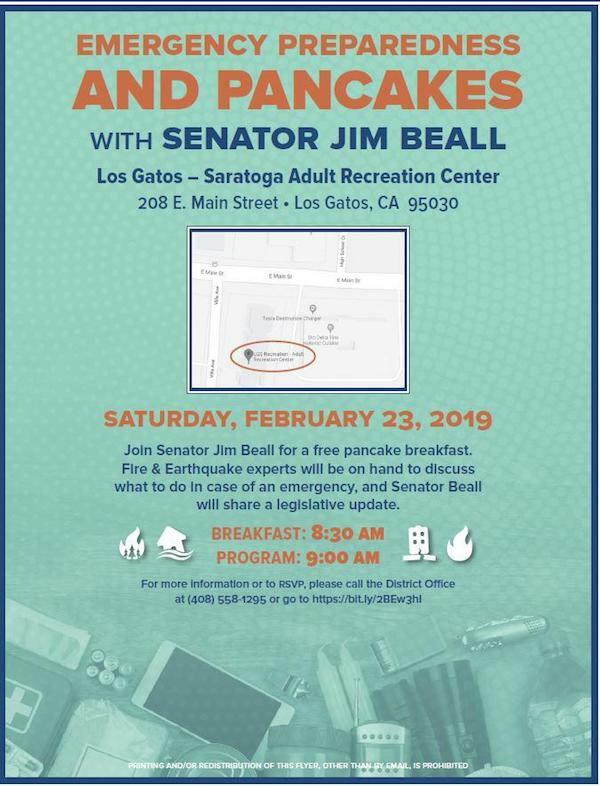 Senator Jim Beal is having a Pancake Breakfast on February 23rd, 2019. The event will be held at Saratoga Adult Recreation Center in Los Gatos. Address is 208 E. Main Street Los Gatos, CA 95030. Start time is 7:30 am. Serving at 8:30 am to 10:00 am. Local 1165 is looking for 6-10 people to help out. We will be serving approximately 150 people. Please come and help show our support for Senator Jim Beal who fights for our Union's causes.